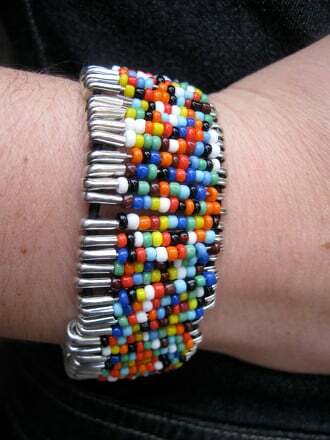 Friendship bracelets have been around probably for as long as friends have been around! But making one couldn't be simpler. 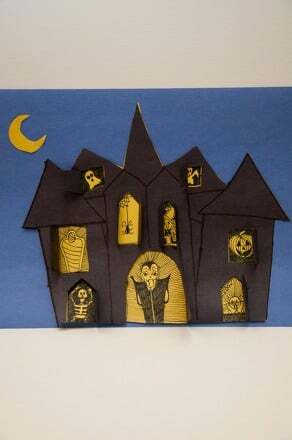 This is a great project for your third grader to try out on a lazy afternoon or a rainy day indoors. Next time she has a friend over, they can even do this activity together. It's as simple as tying a knot! 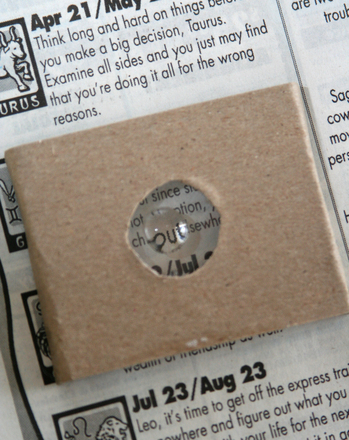 Measure out and cut 24-inch strands of each thread colour. Tie the strands together into a simple knot, leaving about three inches at the end. Help your child anchor the knot firmly so she will be able to easily manipulate the strands. Pinning the knot to a sofa or closing it in a drawer works well. Your child can even have her friend hold the end as she works. Separate the strands so there is one on the left, one in the middle and one on the right. Have your child begin with the strand on the left. Use this strand to tie two knots onto the middle strand and continue on to the next strand over, and tie two knots on the right strand. Be sure she ties the knots firmly. The strand on the left has now moved across to the right. Using the new strand that is on the left, tie two knots onto the middle strand and continue on to tie two knots on the right strand. Have your child continue to repeat this process. A pattern of colors will begin to emerge. Make sure your child checks for sizing around her friend’s wrist or around her own wrist. When she has reached the desired size, have her tie a simple knot at the end of her bracelet and cut. Be sure to leave about three inches at the end. Have your child tie both ends together around her friend’s wrist or she can give it as a gift for a birthday or another special occasion. To make this project a little more challenging, for an added touch, your child can string beads onto the strands after every couple rows, and then continue to tie the knots in the same manner after each bead. 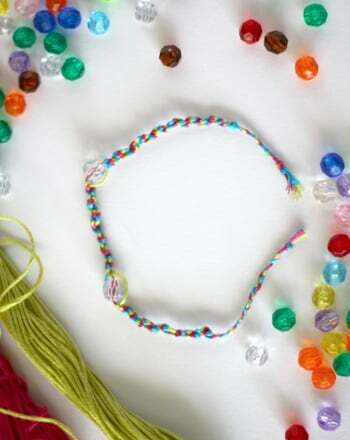 She'll love making these friendship bracelets. 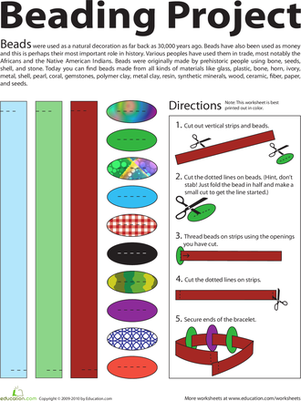 This is also a great project for you and your child to do together this Mother's Day. 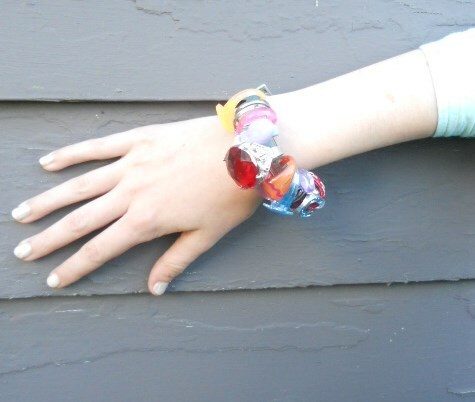 In this arts and crafts activity, help your kindergartener make friendship bracelets with just safety pins, elastic, and some colorful beads. This worksheet is all about the U.S. space mission of Friendship 7, and will help kids with reading comprehension and U.S. history knowledge all at once. 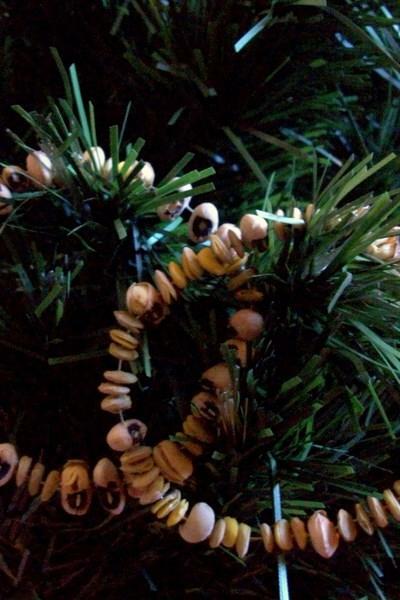 Make lucky bracelets with lentils and black eyed peas for a New Years art project to remember all year! 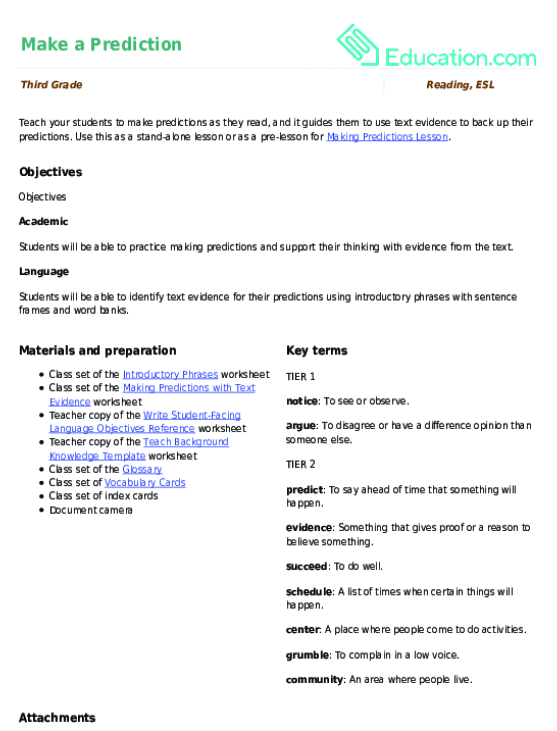 Use these vocabulary cards with the EL Support Lesson: Make a Prediction. Teach your students to make predictions as they read, and it guides them to use text evidence to back up their predictions.